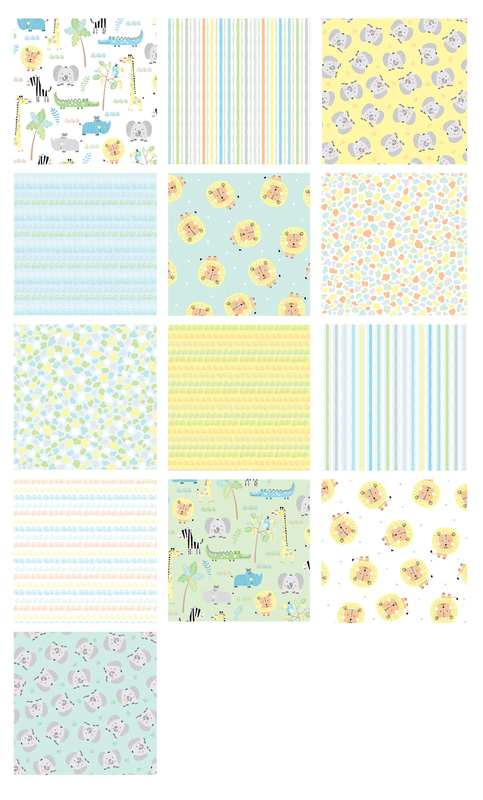 Adorable baby animals are perfect for a baby quilt! 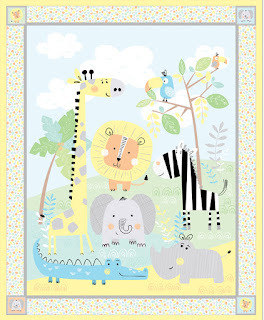 Jungle Jamboree from Kanvas features little lions, elephants, giraffes and zebras--each is cuter than the next! A soft blue, green and yellow palette makes this collection a great choice for both boys and girls. 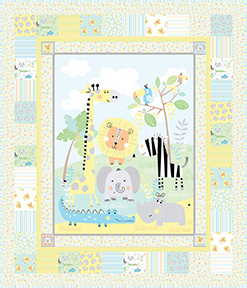 A variety of stripes and animal skin prints round out the coordinates, and a panel and extra large animal print help to make a quick baby quilt. 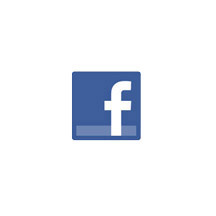 An extra large animal print--what you see below measures 20" square. Ideal for backing fabric! 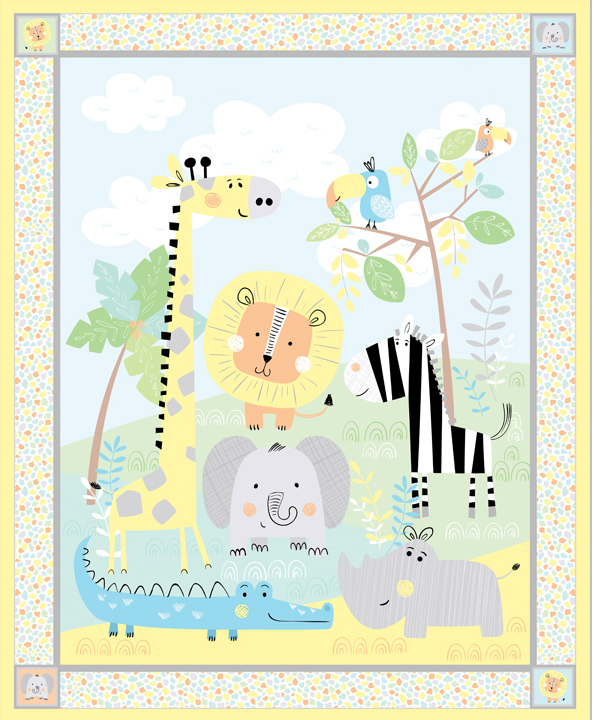 Add borders to this panel for an easy baby quilt. Download our free quilt pattern, Sweet Safari. It uses the panel, a pack of 5x5s, and border yardage. 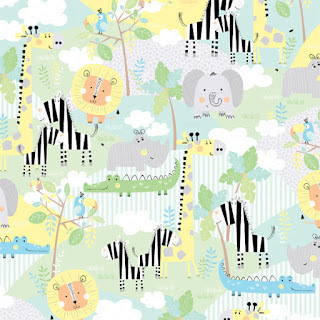 Click here to see the entire Jungle Jamboree collection. Very cute fabrics! Have a sweet day.